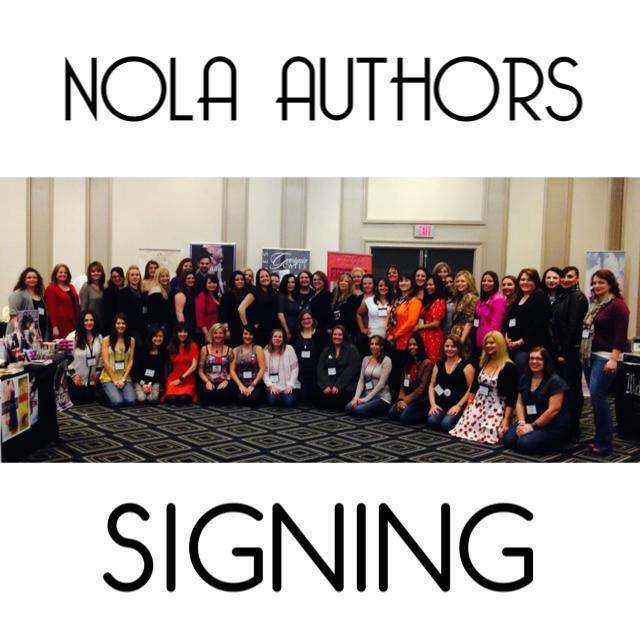 For those of you who follow me on Facebook or Twitter you will have no doubt seen some of the pics that we took while attending the NOLA author event this past weekend. It was delightfully manic! 500 fans in one room for 4 hours is always enough to build some major excitement. We left home thursday afternoon and by friday afternoon we arrived in NOLA. We were tired, a little grumpy and starving so we checked into the hotel and headed for the French Quarter, where I attempted to find something to eat that was NOT cajun. No small feat in that part of the world haha. That night we had a fantastic evening hanging out with the other authors. I had the pleasure of finally meeting some of the authors that I have chatted with online: Melissa Brown, Maggi Meyers, Tara Sivec, Colleen Hoover, Abbi Glines (who was there just to hang out), Shelly Crane, Tiffany King, Amy Bartol, Georgia Cates, Sarah Dosher, Christine Brae…gah I know I am forgetting some people! The actual book signing was a blast. So many fantastic authors in one room with 500 excited fans! It made the 12 hour drive totally worth it! Previous Arotas Box Set Pre-order sale!! !